Magna International plans to use holograms to demonstrate its future mobility capabilities during the CES, or Consumer Electronics Show, in Las Vegas in January. Microsoft’s HoloLens is a self-contained, holographic computer that enables people to engage with digital content and interact with holograms around them. Future mobility will continue to be a key topic at CES, Magna said in statement. So, it has created the unique experience for attendees in order to demonstrate some of the areas in which the auto parts maker is invested. The CES is a consumer-oriented show that has become a popular venue for automakers and their suppliers to showcase innovation. For example, Ford Motor Co. used CES 2016 to reveal updates to its infotainment systems and developments in autonomous driving technology. Various powertrain architectures from multiple hybrid variants to full electrification. In November, Magna joined the race to develop “smart” auto seats that can monitor a driver’s heart rate to determine whether he or she is getting drowsy. Magna says such technology will be required in autonomous vehicles to make sure drivers are ready to regain control at the wheel when necessary. Matt Cook, a product manager in r&d at Magna Seating, said in November the company has working prototypes, but that it wasn’t ready to show it to customers, yet. 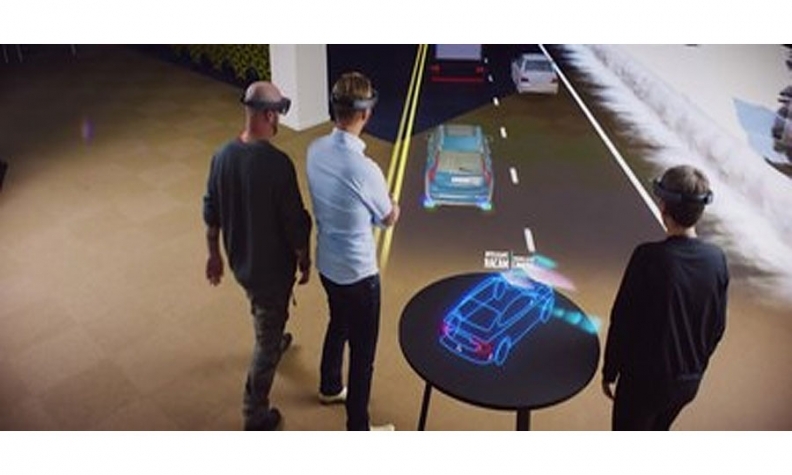 In addition to the HoloLens display, the company will also showcase its latest ADAS innovations and how they are helping automakers reach various autonomous driving levels today and for the future. Currently, Magna combines technologies of camera systems, ultrasonic and radar systems as well as their functions to provide the driver active guidance in parking or reverse situations and enhancing field for view. “We pride ourselves in pushing the boundaries of technology and innovation. We do this by identifying the forces impacting mobility and creating solutions that support the shift in the automotive landscape,” Chief Technology Officer Swamy Kotagiri said in a news release.